In these times of relative financial uncertainty and with more and more budgetary restrictions being put into place across different industries, it can be difficult to see how any good can from slashing a budget, especially in the health care sector. However, many hospitals and other health care facilities are experiencing such cuts despite the growth in the health care sector overall over the last few years. It would appear as though running a hospital, clinic or other health service in the U.S. is going to have to be done so using a tight budget in the immediate future and perhaps beyond. While hospital budget cuts are never ideal, the ability of those facilities to cope with smaller budgets is incredibly important. That said, most of the problems that will arise as a result of budget cuts can be tackled with creativity and the proper tools. Perhaps the biggest concern when it comes to budgetary cuts in the health care industry is how they will affect the quality of service provided by medical staff. Although there are several traditional routes to cut costs in an organization, doing so in a hospital or medical facility setting can be tricky. When it comes to working with a limited budget, it's important to make sure you are utilizing all available resources for your workforce first and foremost. In theory, this sense of togetherness should help lighten the load on health care employees who are already dealing with highly demanding jobs. Although no job should be overwhelmingly stressful, individuals in the health care field may be particularly prone to stress. A study carried out by the University of Pennsylvania and the Penn School of Nursing showed that stressed, overworked nurses often provide care that is below the standard for patient satisfaction. When times get tough, the human spirit naturally inspires us to huddle together so that we can best fight our way through the hard times. Especially in healthcare settings, professionals look to construct closer relationships and depend on each other a little more to get survive the hard times. 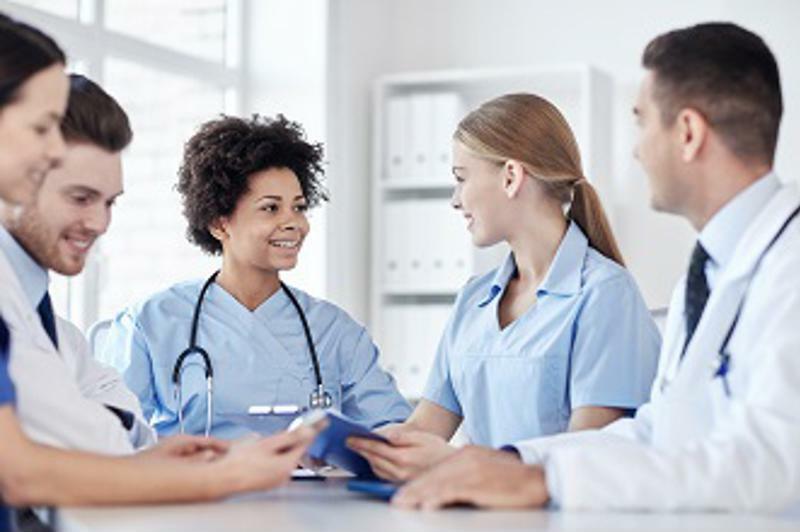 An increased cohesiveness among a healthcare team can help ensure that the best level of care is provided for each and every patient that walks through the door. Additionally, those tasked with managing the workloads of doctors, nurses and other medical staff should make an effort to spread the work out as evenly as possible – especially in circumstances where there is an abundance of work or a shortage of it. Like any other profession, working individuals want a sense of job security as well as time off on the weekends (and holidays).That mentality is responsible for professionals taking on all kinds of challenges with some rather notable success. Whether you are a doctor, nurse, hospital administrator or janitor, it's important to work with your co-workers when your backs are up against the proverbial wall. A strong collaboration and sense of rapport between hospital team members will be good news for caregivers as well as patients. Another factor that can seriously affect any health care establishment is low morale and the effects can be devastating to patient care. Every health care professional who regularly interacts with patients or their families should present a positive image. Although not a remedy for an illness or disease, a positive attitude can potentially benefit the recovery process for patients in any cases. Many physicians still maintain that a good attitude can expedite the recovery process – especially in dealing with less critical illnesses and injuries. Teamwork is important in the medical field. The physician Deepak Chopra believes a good attitude can go a long way in the outcome of a patient. He cites the placebo effect as an argument in favor of positive attitudes. "When given a sugar pill in place of a prescription drug, an average of 30 percent of patients will show a positive response," he wrote, in a special report for CNN. Health care professionals should strive to form positive interpersonal relationships because they have to deal with so much on a daily basis. When employees understand and respect the efforts of colleagues and co-workers, it can foster a positive working environment and even makes patients feel more comfortable with the care they are receiving. If you're in a hospital, you probably want doctors and nurses who are on the same page when it comes to your case. Although hospitals across the country have already made sizeable cuts to their budgets, it appears as though the worst is not yet over. Hospitals that often cater to underprivileged and uninsured patients are expected to face monumental budget cuts in 2018 as a result of the Affordable Care Act, according to Governing. That is not to say the hospital budget cuts won't have opposition – especially by health care administrators. Chip Khan is the president of the Federal Association of Hospitals. He commented to the Hill about opposition to budget cuts. "We are always opposed to arbitrary payment reductions," Kahn said. "On the other hand the reality is the reality and we sort of understood something was going to happen." Safety-net hospitals have been receiving additional money for years through Medicaid as well as the Disproportionate Share Hospital program, but with new health care laws ensuring more people are insured, there is simply less money to go around. The American Hospital Association appealed to Obama regarding the legislature in a letter. The organization argued that reductions to hospital budgets would result in an inability to invest in new technologies, upgrade facilities and pay the same amount of hospital employees. Although budget cuts are not uncommon in businesses across various industries, they should probably be taken more serious in the health care sector. Hospitals are some of the largest medical facilities across the country, but are dealing with slashes in their budgets. 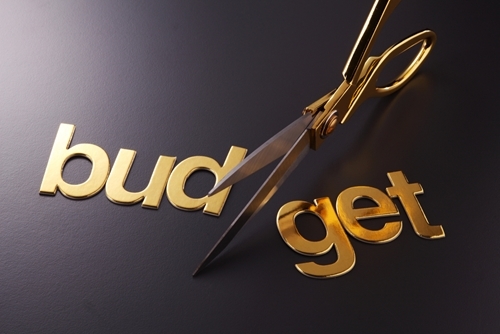 Because the health care field involves so many people year in and year out, professionals in leadership positions should prepare themselves to deal with budget cuts. For more resources and tools to better train your staff so you can improve your hospital's financial efficiency, contact Professional Medical Services today.